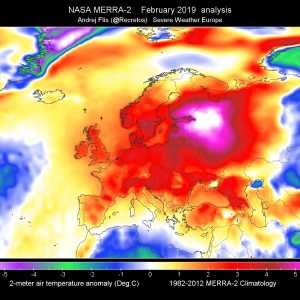 An upper ridge remains over south-central Europe and Balkan peninsula while a progressive trough pattern emerges into western Europe. Deep trough with well-organized frontal system moves across British Isles with a cold front pushed into France. 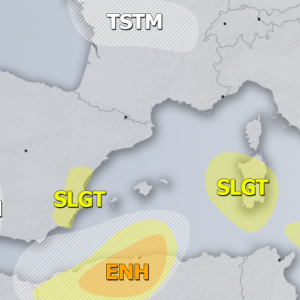 An upper low slowly progressing east across S Mediterranean. 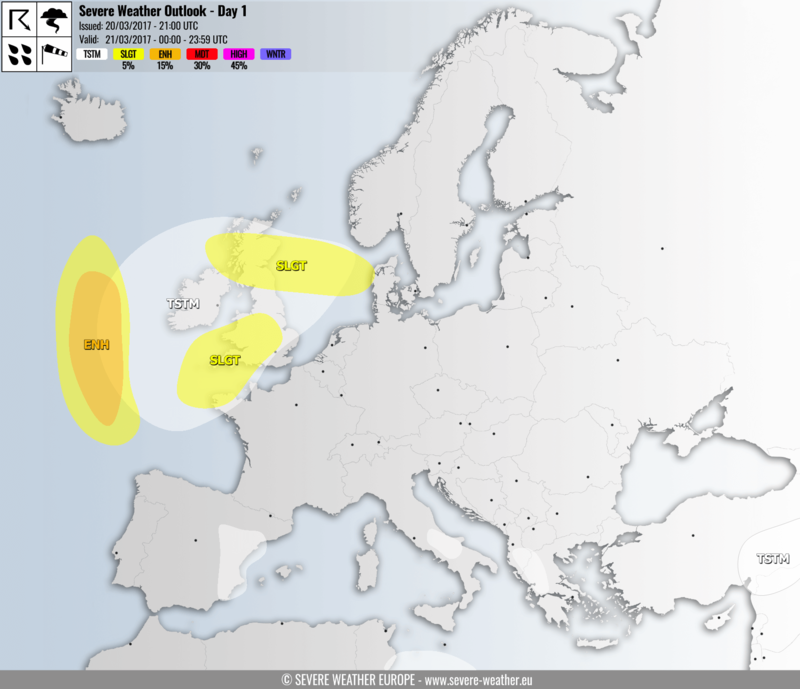 ENH/SLGT risks have been issued for parts of N Atlantic with threat for non-convective severe winds in excess of 120 km/h. 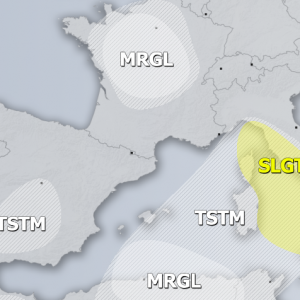 A SLGT risk has been issued for N British Isles with threat for severe winds, locally in excess of 100 km/h. 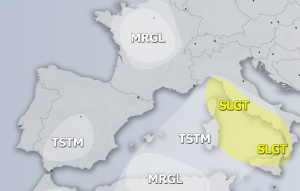 A SLGT risk has been issued for parts of SSW England with threat for isolated storms. Moderate shear within the very cold mid levels resulting in unstable environment, should bring some organized storms, including possibly supercells with threats for marginally large hail, severe winds and lesser extent for tornadoes. 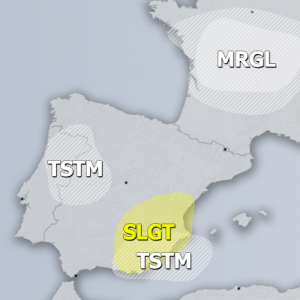 TSTM areas have been placed where some mostly diurnal driven storms are expected, some more organized storms possible across far S Mediterranean under an upper low.